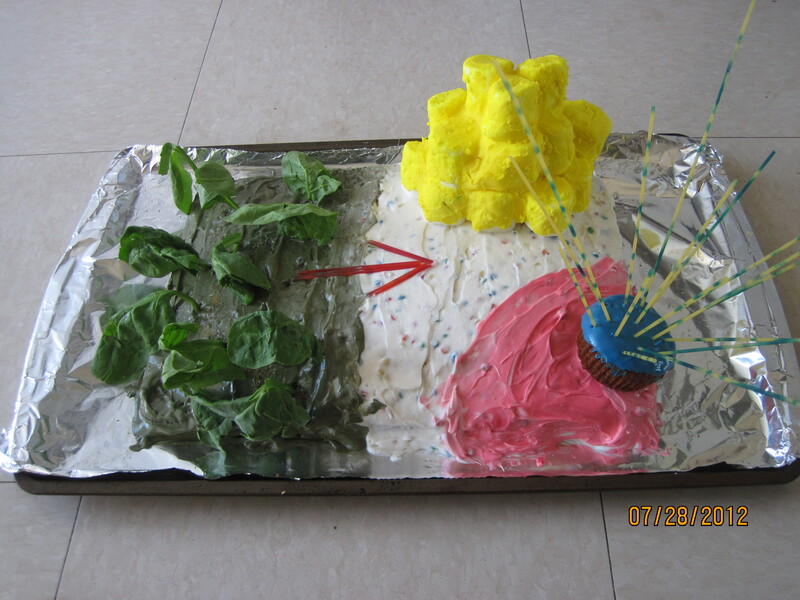 On July 28, 2012 we celebrated the 3rd birthday of the Kahekili Herbivore Fisheries Management Area (KHFMA) in Maui, Hawaii. The KHFMA is the first protected area of its kind — promoting fishing in general, while protecting specific species (herbivores) that are critical to the health and long-term persistence of the region’s beautiful coral reefs. The establishment and maintenance of this reserve has required significant investment by many groups including the Maui Division of Aquatic Resources (DAR), Coral Reef Alliance (CORAL), and Kaanapali Makai Watch. The KHFMA birthday bash was a celebration of the sustained efforts of all these groups, and the many political, social, & educational successes they’ve achieved. This was a celebration for all who have dedicated some part of their lives to promoting the health of Maui’s coral reefs, and reefs abroad. 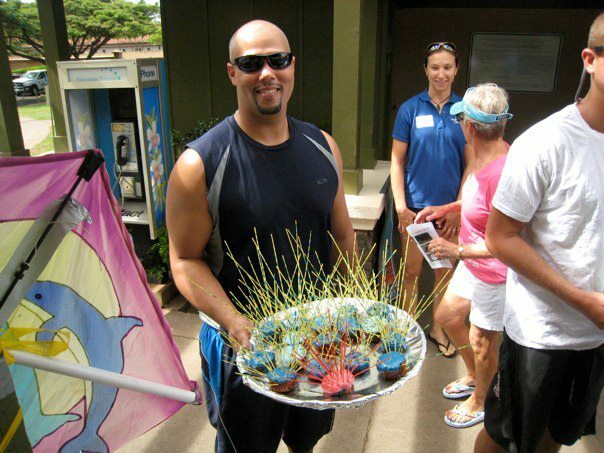 Levi with wana (urchin) cupcakes. 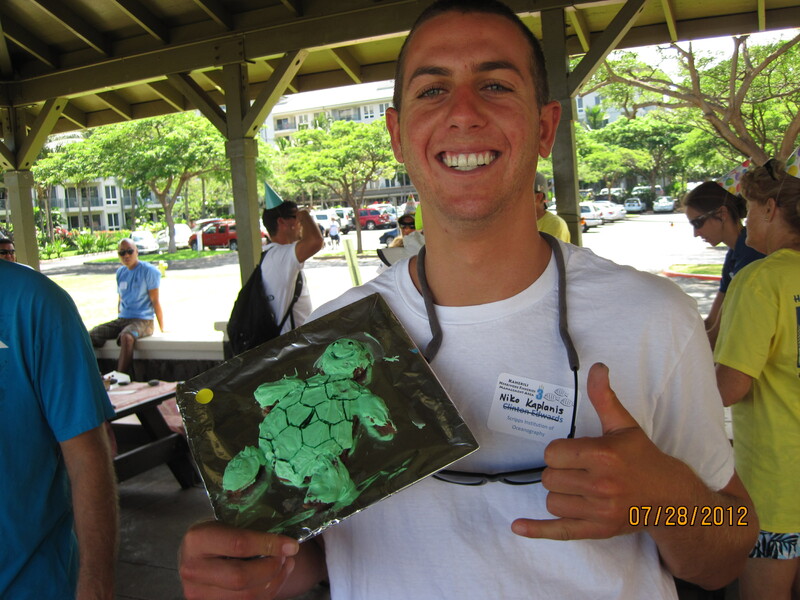 Niko & his honu (turtle) mini cake. 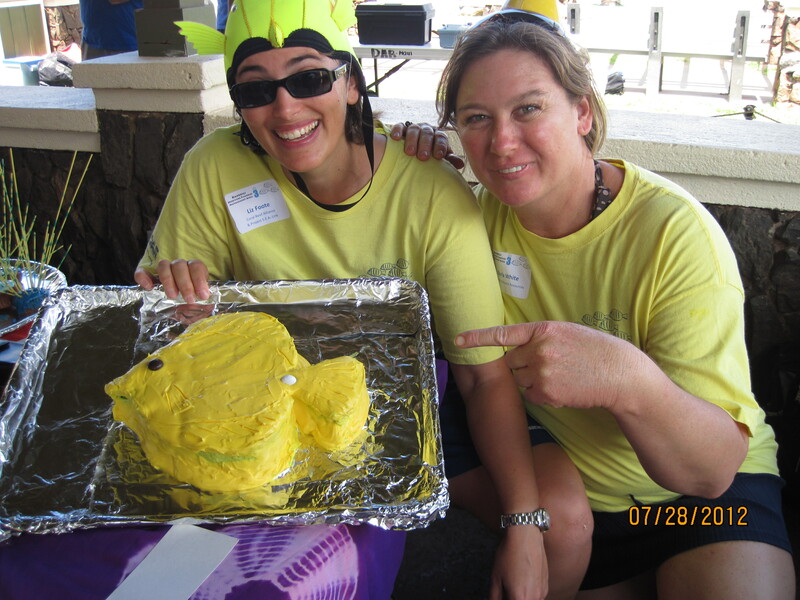 Liz & Darla with their green yellow tang cake. 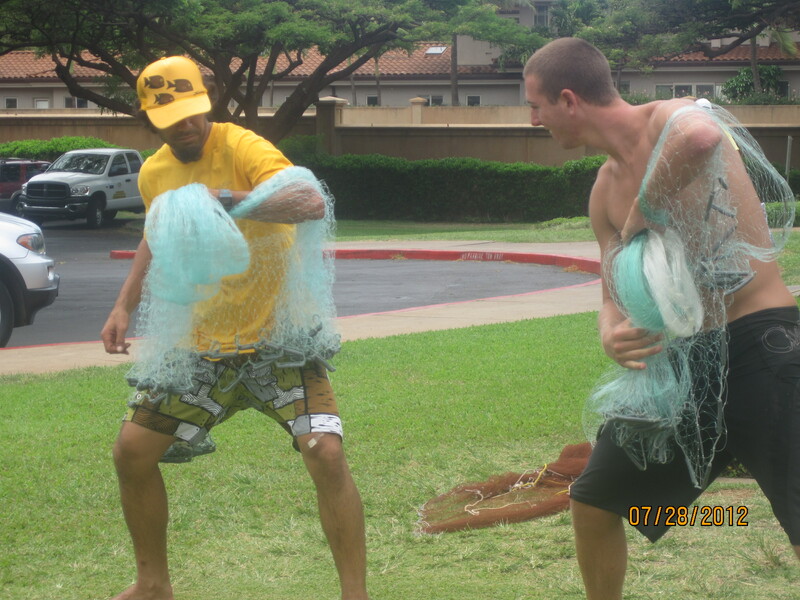 Luna teaching Niko how to throw net for fish. Aside from the silliness and fun, the birthday bash had a serious undertone. Maui’s reefs are in serious trouble, and something needs to be done to restore and preserve them. There are many problems necessitating numerous major interventions. To succeed, we must bring together managers, land owners, scientists, fishermen, swimmers, tourists, etc. to work towards a common goal of sustainable practices. The KHFMA has succeeded in bringing together many of these groups to address several of these issues. The hope is that the KHFMA will achieve great success and serve as a model for addressing the multitude of other factors contributing to the degradation of Hawaii’s (and the world’s) magnificent coral reefs. It takes a community to protect & restore a reef.